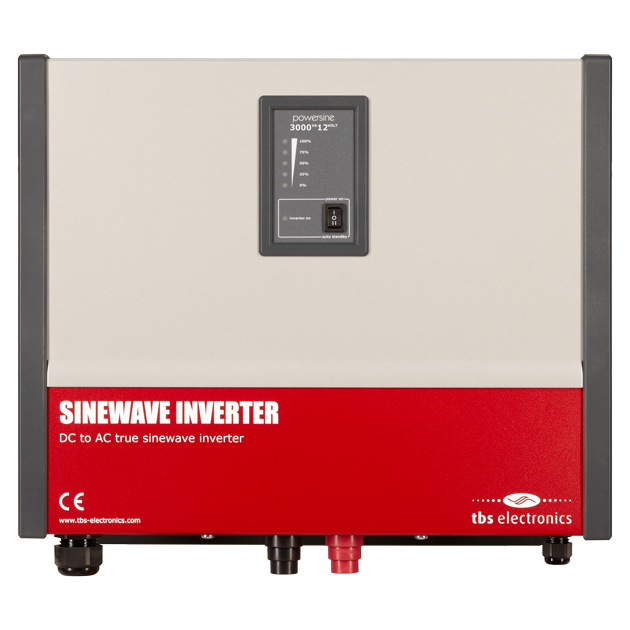 These high power true sinewave inverters, are ideal to power groups of electrical equipment. Very high peak power ratings allow control over the most demanding loads. Great overall performance, conservative output power specifications and robust build quality, ensure trouble free operation for many years. These inverters have an installer friendly connection compartment for all AC and control wiring. 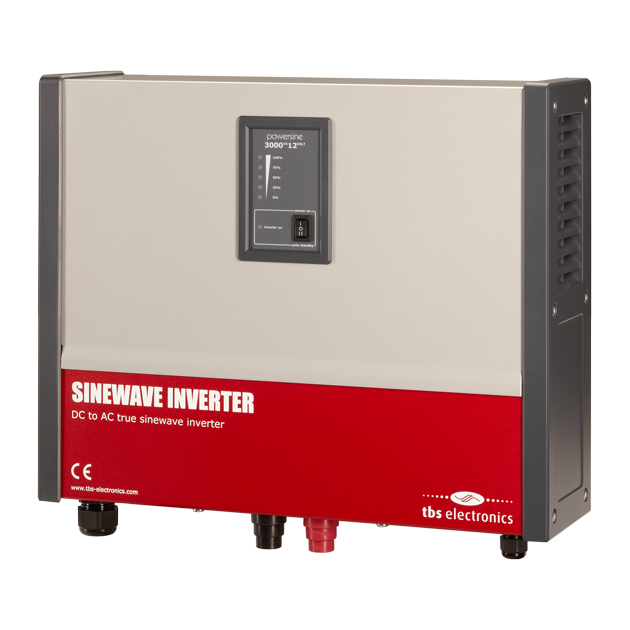 The inverters in the Powersine inverter range are developed for an extremely long lifespan and are protected against output short circuits, overloading and high temperatures. These features of the Powersine inverter range, enable trouble free operation for many years. The Powersine inverter range can be used in a wide variety of applications. The robust mechanical and electronic design, as well as the availability of many models each with different in- and output specifications, helps in finding the right model for each application. The quality of TBS inverters is ensured by the fact that much attention is paid to any detail in the design, production and testing process, as well as implementing only the best available parts in the final product. Moreover, the R&D and production of each and every inverter takes place under the same roof. This means that the knowledge created by the R&D department and the feedback from the production department, can directly be implemented into the Powersine inverters. Furthermore, these Powersine inverters are equipped with a TBSLink port to connect to a TBS Remote Control or to a Windows device for readout through the TBS Dashboard software. Also available are an alarm relay output and simple remote switch connections. All this is combined in a very compact, yet installer friendly unit. 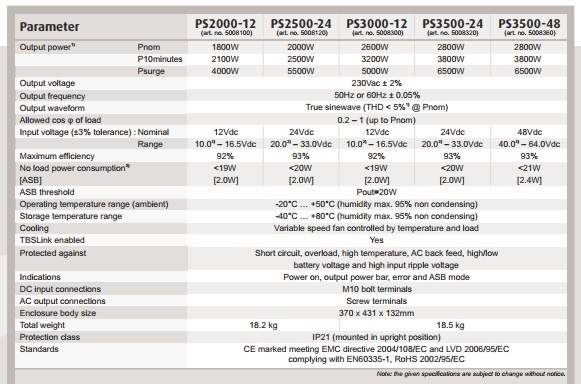 The Powersine inverters are protected against high/low battery voltage, high temperature, overload and short circuit. Moreover, the inverters are very efficient and have a variable speed fan which makes silent operation possible. The reliability of the products is translated to the standard warranty term of 24 months.